Several years ago, we were at Yellowstone National Park and we had gone to the wolf preserve in West Yellowstone to see the wolves up-close. 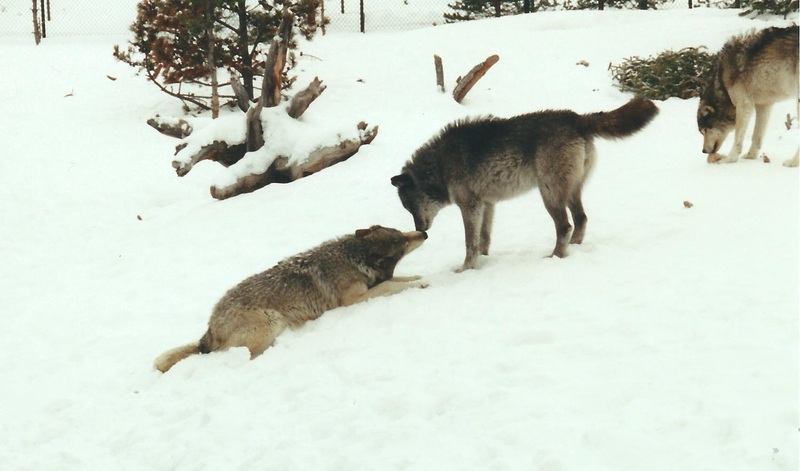 While we were there, we captured this picture of two wolves who appear to be in love. When we saw the weekly photo challenge come out, we knew at once that this was the picture that we wanted to share. This entry was posted in Photo Challenge and tagged nature, nature photography, Photo Challenge, photochallenge, photography, travel, wolves, Yellowstone. Bookmark the permalink. That is an adorable photo. Love it! Justice to the theme. Beautiful shot! Great timing & great shot!